American Media asked the DoJ about having to register as foreign agent after publishing a glossy mag that hyped Saudi Arabia. 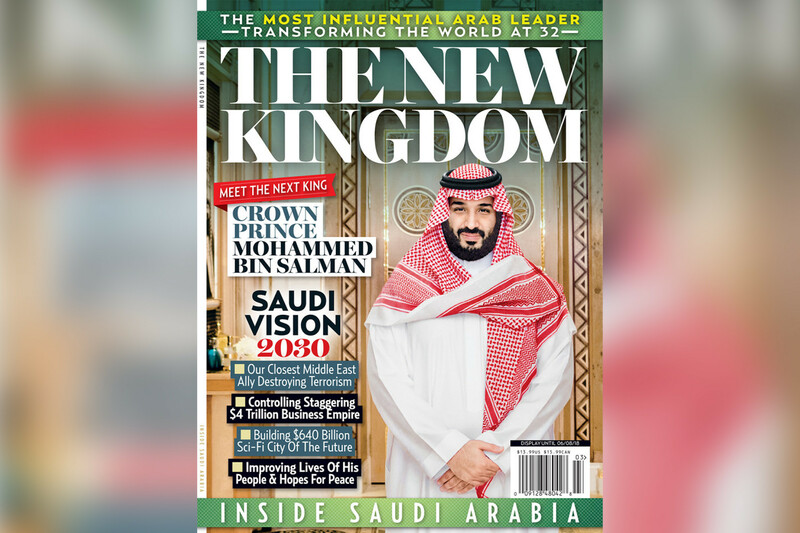 Remember that weird glossy magazine that came out last year promoting Saudi crown prince Mohammed Bin Salman? Daily Beast called it Saudi propaganda, and it was. AMI, the parent company of The National Enquirer, produced it. Right after they put this weird Saudi propaganda publication out, AMI asked the United States Department of Justice if it should register as a foreign lobbyist, according to multiple news reports out today. Amazon CEO Jeff Bezos has accused AMI of blackmailing him over intimate photos, and questioned whether Saudi Arabia may have been involved, which both AMI and the kingdom have denied. "Taking into account the facts stated in your submission, and limiting our evaluation only to the facts stated in your submission, we find that there is no agency relationship between [U.S. corporation] and any foreign principal," the Justice Department wrote, referring to AMI. Although the names of the parties are redacted in the publicly released version of the letter, the timing, facts and circumstances all line up precisely with AMI's unusual publication of the magazine about Crown Prince Mohammed bin Salman and his March 2018 visit to the U.S. The person familiar with Saudi Arabia's lobbying efforts confirmed to NBC News that AMI and the Saudi government are the entities referred to in the letter, which was first disclosed Monday by The Wall Street Journal. Last September, the French Directorate of Military Intelligence prepared a "highly classified" report on the Saudi war in Yemen to brief the "restricted council" of cabinet-level officials; the report has been obtained by the French media organization Disclose, which has published it jointly with The Intercept and four other French media organizations.